Facebook’s failed bid to acquire Snapchat led to the seemingly vindictive creation of Facebook Stories, short photo and video collections uploaded by users which automatically disappear after 24 hours. However, Facebook’s trick failed to catch on, but instead of taking a step back, Facebook has doubled down on its efforts to make Stories truly mainstream. In its bid to do so, Facebook is planning to bring the ability to create and upload Stories from desktops, and has already started testing the feature between a closed circle of users. 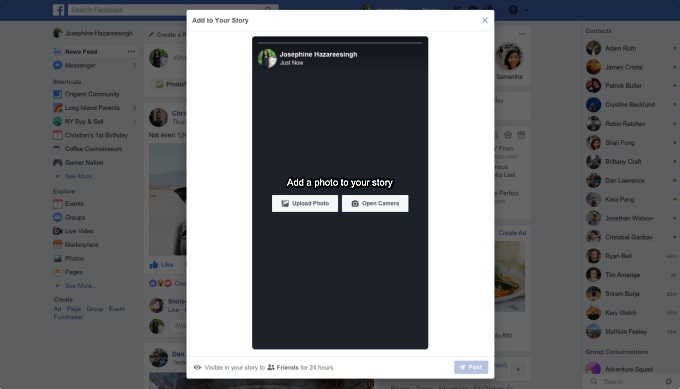 A Facebook spokesperson has confirmed the new development and revealed that aside from adding the ability to create Stories from a desktop, their position will also be changed to a spot where they are more prominently visible. Earlier, users could only view Stories on the desktop and do nothing more, because Stories could only be created on a smartphone in the same fashion as users create WhatsApp Status on the Facebook-owned instant messaging platform. Thanks to the change, some users will now see an ‘Add to Your Story’ option in the News Feed section that will let them upload photos from their PC or use the webcam to record short videos and post them as Stories. 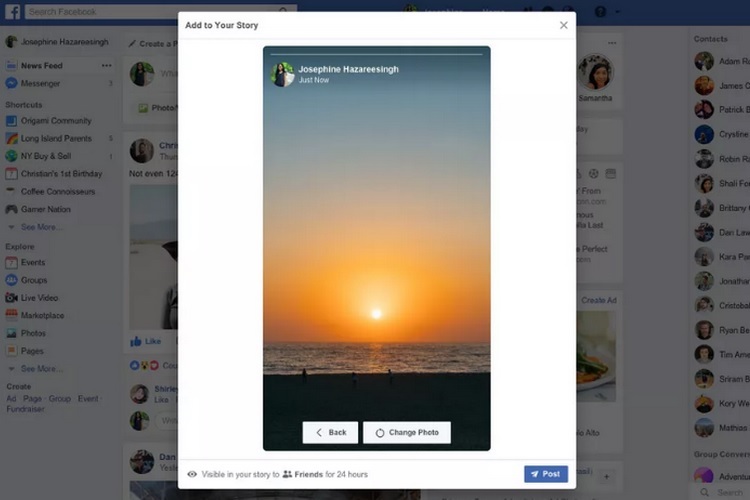 The Stories created on a desktop will be visible to users on Facebook’s web version as well as the mobile app, however, it is not clear whether cross-posting of Facebook Stories to Instagram will be available as a feature to desktop users. Nonetheless, the facility to create Stories from desktops can prove to be quite handy for folks who rely on their PC to manage their presence on Facebook, with special mention of brand managers, event promoters, and social media account handlers.